For over 30 years SJS has been leading the creative revolution in printing and production for automotive, electronics and appliance industry. We have been creating automotive dials, climate control overlays, exterior decals, logos, and badges for the world’s leading manufacturers. 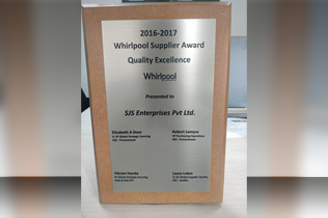 And we have earned their trust through our commitment to innovation, stringent quality checks and first-in-industry processes. SJS is the standard in the world of intuitive design and high-precision and aesthetically superior production. The first company in the Indian printing industry to be certified TS 16949 and implement TPM and Lean practices, SJS demonstrates an unflinching attitude to process discipline, product quality and on–time delivery. The best names in the industry have stood with SJS as suppliers and partners for over a couple of decades now, a credential that stands testimony to the intrinsic values that the company stands for. SJS places great emphasis on human relations – be it, its employees, customers, vendors or associates. The company believes that being humane and fostering healthy relationships go a long way in building a great company. 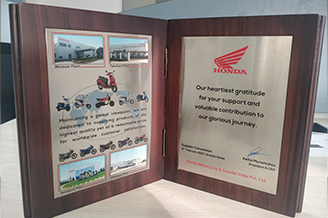 A belief that has helped build a ‘family’ of around 700 strong work force, besides its customers, vendors and associates. With a vision to be the global leader, SJS has been making rapid strides towards this goal. Since 1996, SJS has been exporting to many of the big multinationals like Motorola, Hewlett Packard, Visteon, Whirlpool across multiple global locations. Its global expertise, design and technological solutions, coupled with its sharpness on cost, quality and delivery have made SJS a favoured partner for the global majors. K.A. Joseph co-founded SJS in 1987 along with two other partners. He has lead technology development and product innovation at SJS and the success of his efforts in building world class offerings at competitive costs has enabled the growth of the company into a market leader with marquee customers in the white goods and automotive segments. Mr. Joseph is the Managing Director of the company and responsible for leading SJS in its next phase of growth to establish itself as a global player in industrial graphics. 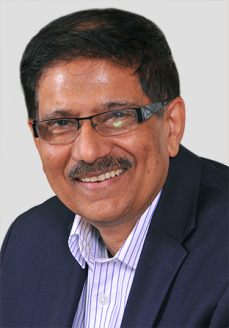 Sanjay Thapar oversees the Finance, Marketing and Purchase functions at SJS. With his automotive industry leadership experience of over 30 years, he has been responsible for establishing and scaling up multiple joint ventures and alliances with leading global automotive component manufacturing companies. 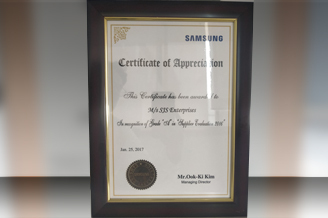 Having built partnerships with global OEMs across geographies he has been instrumental in increasing the global foot print of SJS. Sanjay has also been focused on establishing best-in-class practices at SJS and creating a strong edge for the company in the global market. SJS enjoys great depth in its management team, with the COO at the helm and 3 General Managers for Operations, Quality Assurance and Finance, ably supported by 14 Managers. The organisation structure is designed to deliver world class manufacturing practices, taking it right through to the entire work force. Comprising of Black Belts and Lean champions, the middle management team at SJS can match the best in the industry globally. 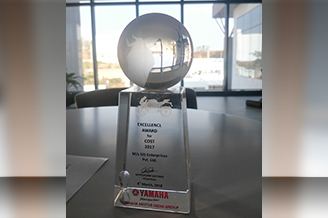 Samsung Grade A "Supplier Evaluation"
YAMAHA "Excellence Award for Cost"
and aims at supplementing the role of the Government in enhancing the welfare measures of the society within the framework of its policy.